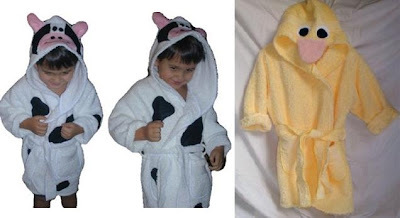 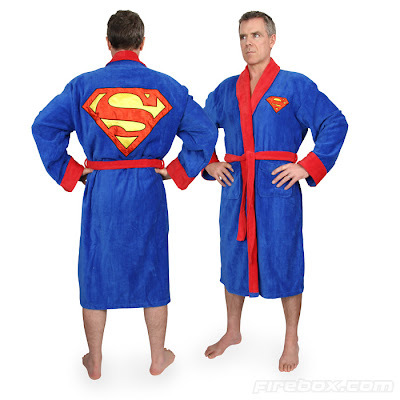 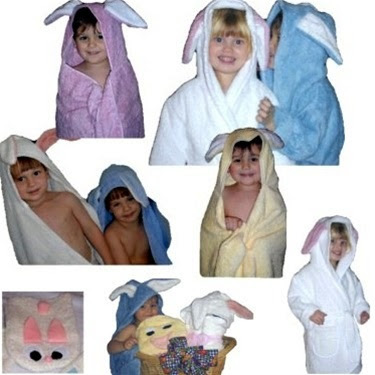 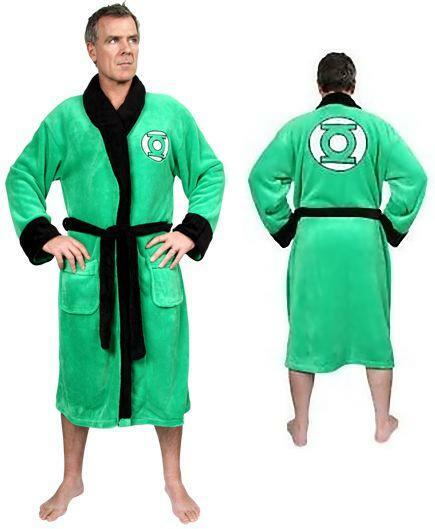 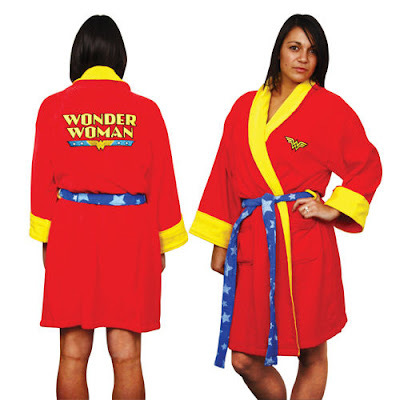 Why opt for regular bathrobes when you have these! 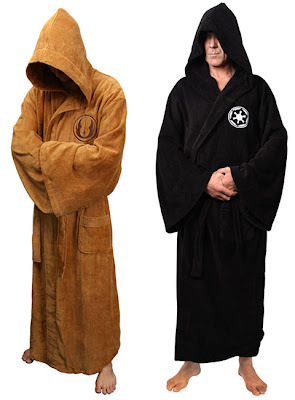 Starwars Bathrobes: Cool bathrobes inspired from Starwars. 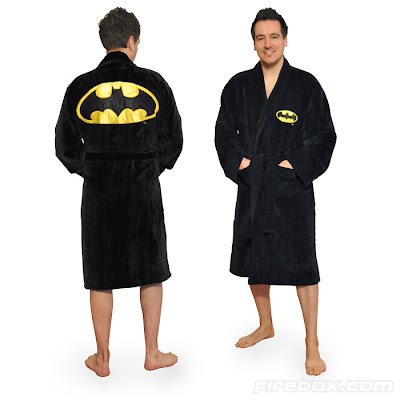 Batman Bathrobe: This luxurious black bathrobe is complete with yellow detailing and has the Batman logo on the front and back. 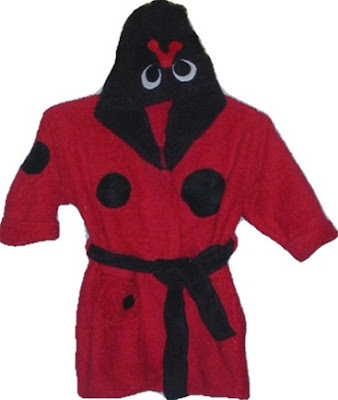 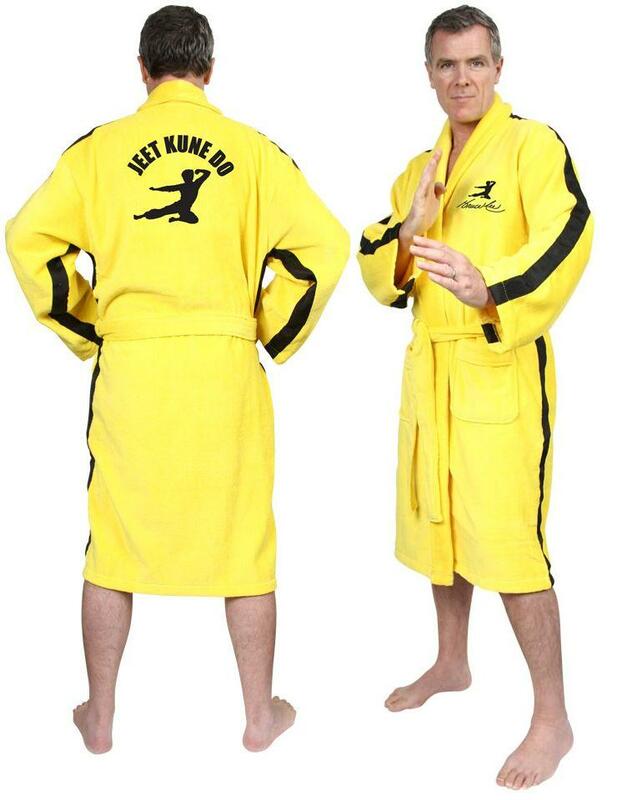 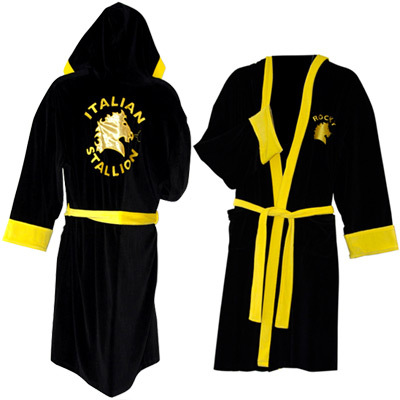 Rocky Balboa Bathrobe: It looks similar to the Rocky's trademark ringside gown, features the boxing champ's name on the front and Italian Stallion logo across the back. 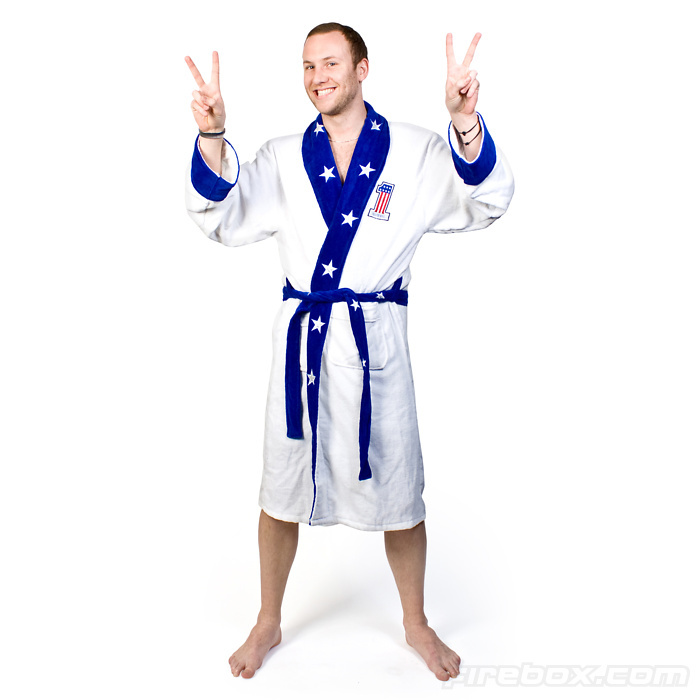 Evel Knievel Bathrobe: This comfy cotton bathrobe features Evel's starry blue and white color scheme and logo emblazoned across the back. 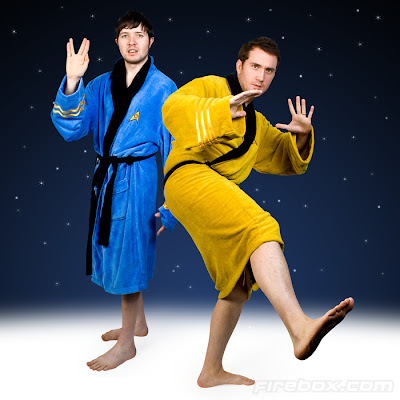 Startrek Bathrobes: Beam yourself to the bathroom; these bathrobes are the perfect addition to any Trekkie's wardrobe. 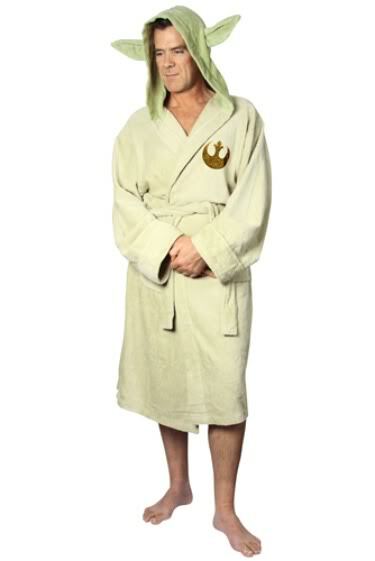 Owl Bathrobe: This forest-green bathrobe features two terry ties in front, ears and two big owl eyes over the head, and orange colored plume and beak, and blue wings along the sleeves. 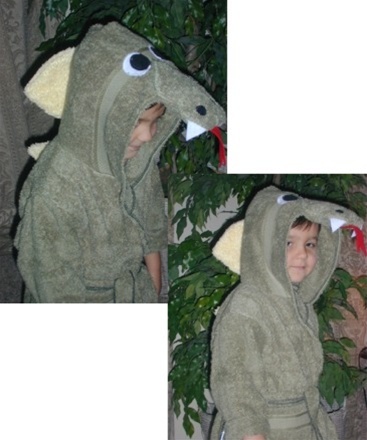 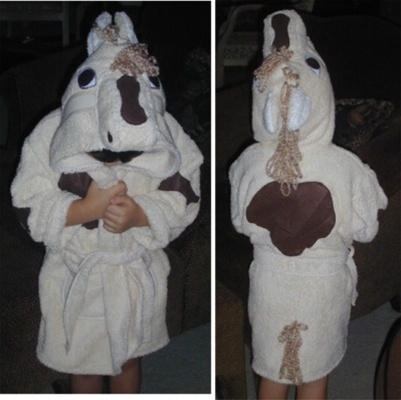 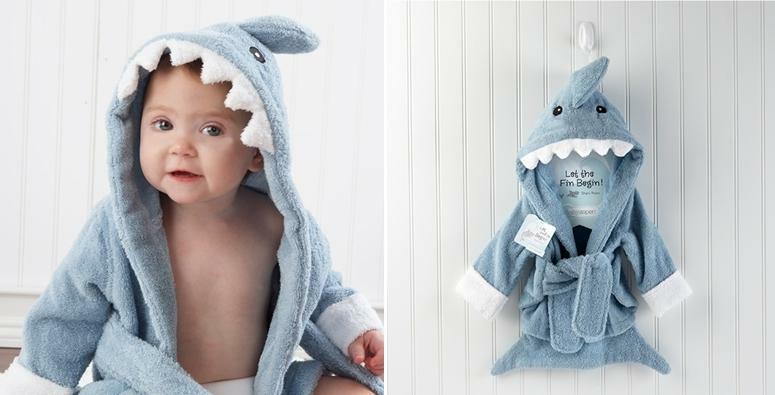 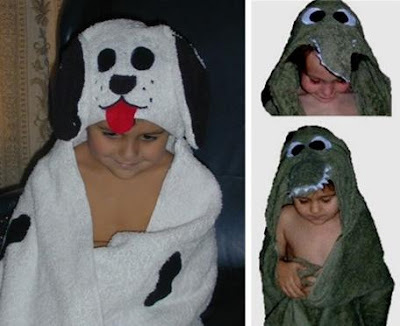 Sharkbaby Bathrobe: These are cozy and absorbent; the bathrobe has a dorsal fin accent and tail!